The Samsung Galaxy Watch is now available in stores nationwide. Features better battery life, LTE connectivity, wellness capabilities, an Always On Display, and rotating bezel for controls. The new Galaxy Watch comes in two case sizes — 46mm and 42mm. The former has a 1.3-inch display and a 472 mAh battery that is said to last up to 80+ hours, while the latter a 1.2-inch display and a smaller 270 mAh battery capable of lasting up to 45+ hours. The watches use Super AMOLED displays with Corning Gorilla Glass DX+ on top. The watch also has a military-level durability certification. There are two variants — 4G LTE and Bluetooth only. Powering the wearables are dual-core Exynos 9110 processors with 4GB storage. It also comes with an IP68 water resistance meaning it can survive up to 5ATM (water resistance up to 165 feet or 50 meters). 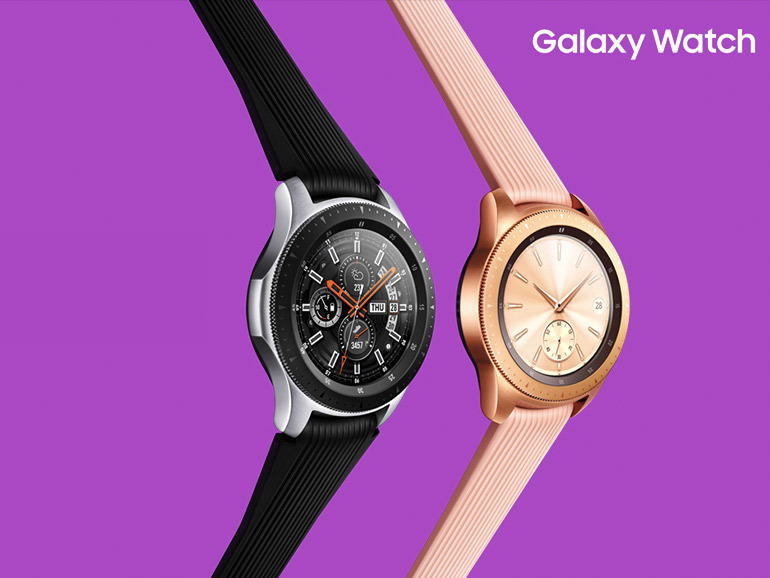 The Samsung Galaxy Watch is now available in stores nationwide with a suggested retail price of PHP16,990 for the 46mm Silver variant and PHP15,990 for the Rose Gold variant.